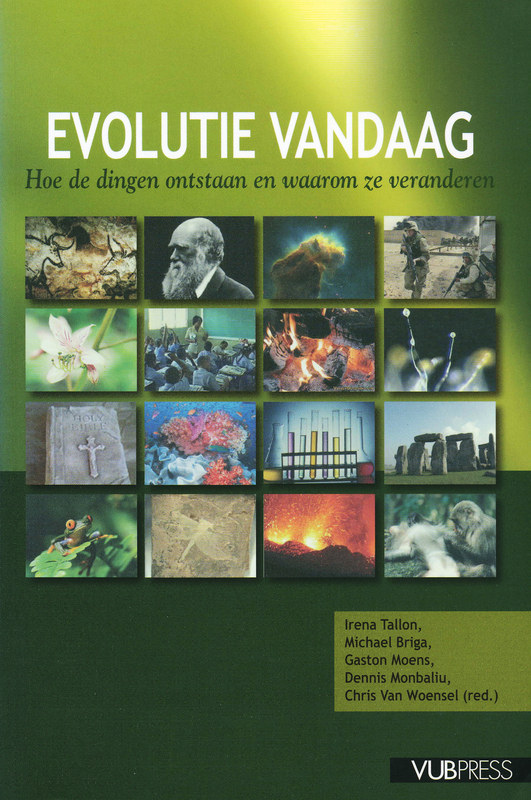 The chapter I contributed to this book from the University of Brussels is on the political power of Darwinism. The point made is not that Darwin, in working out his theory of evolution, was himself politically inspired or motivated. There is little or no convincing proof that he was. Still, Darwin indeed underwent the influence of the political economy of his day as represented by Smith, Malthus and Ricardo. That influence, however, is a matter of heuristics. What Darwin did, though, is to apply his biological theory in the social and political domain, in a similar way, more or less, as several of his followers did. Notably in his The Descent of Man (1871) Darwin transposed his theory of evolution to humanity’s recent cultural development. On the one hand he argued that ruling out or softening the effects of natural selection in modern society would result in modern man’s degeneration. On the other hand he made it clear that social and political ties and communities were the result of evolution by natural selection. It is remarkable that Darwinism was used as a new political argument, or a new strategy to prove political legitimacy, by almost every political movement; the more or less fundamentalist Christian politicians were the only notable exception. It obviously was attractive for politicians and political thinkers to appropriate the scientific authority of Darwinism. The political application of Darwinism is not limited to liberalism. It can even be found in anarchism or conservative nationalism. Such application, then, was a rather eclectic affair: everyone picked out the elements that would suit them best. Besides, Darwinism’s political influence was indirect; as far as I know there were no political parties or governments who deliberately called themselves Darwinist. In this sense Darwinism never was an overt political ideology. Nevertheless, the list of politicians and political thinkers who claimed political inspiration by Darwinism is a long one. The list contains prominent names like Walter Bagehot, Arthur Balfour, August Bebel, Eduard Bernstein, Joseph Chamberlain, Keir Hardie, Karl Kautsky, Peter Kropotkin, James Ramsay MacDonald, David Ritchie, Theodore Roosevelt, Herbert Spencer, Albert Schäffle, Wim Treub, Emile Vandervelde, Graham Wallas and Sidney Webb. In addition there are three influential thinkers, while partly building their arguments on Darwinism, were a strong influence in politics: the Wagnerian Houston Stewart Chamberlain, the sociologist of conflict Ludwig Gumplowicz, and the theorist of Lebensraum Friedrich Ratzel. Darwin’s Origin of Species (1859) was published at a moment in history when the main political ideologies experienced considerable turmoil. Socialism was strongly rising, while it still had not completed its theoretical foundations. The theories of Marx and Engels were gaining influence. ‘New Liberalism’ was beginning to develop, while traditional liberalism was redefining its view on the role of the state, revising the former strictness of laissez faire. Political anarchism was being defined. The simple but fundamental question ‘revolution or evolution’ was, at the time, highly relevant. In this general atmosphere of ideological turmoil it became popular to claim for the scientific soundness of political ideas by referring to Darwin and Darwinism, or to sociological theories emulating Darwinism. The positivism of Comte and Spencer made it seem very convincing that social science was, and had to be, defined as social physiology, solidly based on biology.